JANM School Programs Developer Lynn Yamasaki explains more about the treatment of Hapa children born in Japan after WWII. We loved having local Girl Scouts come out again for our second annual Girl Scout Patch Program! This year’s program was all about identity, both on the individual and community level. 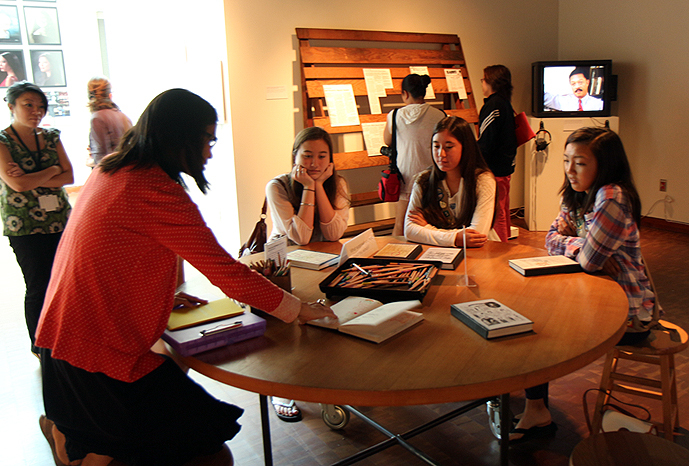 We began the day with a tour of our exhibition Visible & Invisible: A Hapa Japanese American History (closing August 25th!). 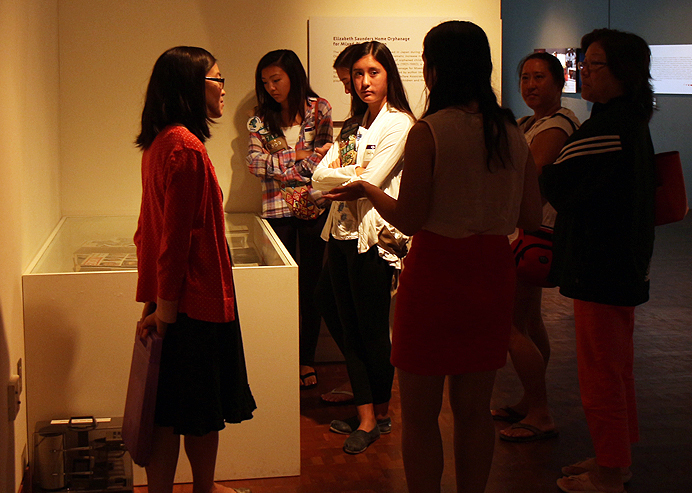 Lead by our School Programs Developer Lynn Yamasaki, the tour touched on the history of—and challenges faced by—mixed-race and mixed-roots Japanese Americans. The tour was followed by a great discussion of some of the exhibition themes, like what it means to be Japanese in a rapidly evolving community. In the end, being Japanese is about more than pure race, the scouts decided. Instead, Japanese American identity today encompasses widespread cultural elements such as the ability to use chopsticks, a taste for sashimi (admittedly up for debate), and involvement in the community. On a more personal level, the girls discussed the many factors—from geography to heritage—that make up their backgrounds and shape their attitudes and behavior. Lynn leads a roundtable discussion with the scouts on what it means to be Japanese American today. After the discussion, we moved on to expressing our identities in a more hands-on way—with the help of some paper doll templates and a vast array of supplies from the education closet! Each girl made a reflection of herself (and one mom joined in with a lovely family portrait), carefully selecting the portrait’s attributes and making each unique, from style of dress to life mottos. 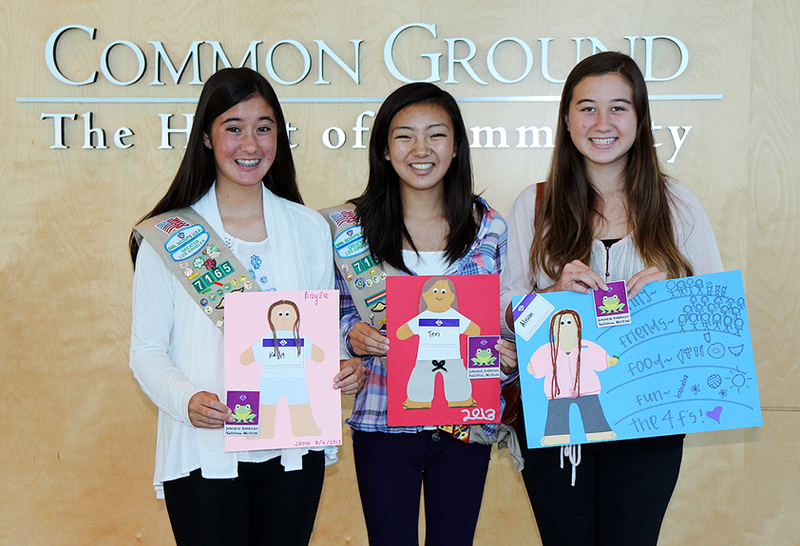 The scouts present their identity self-portraits…in paper doll form!